Jack Reacher (Cruise) is back and this time he allies with Major Susan Turner (Smulders) to help him arrest criminals across America. He develops fondness for the Major and arranges to finally meet her and probably date her. But when he arrives in the camp quarters, he learns the Major has been arrested for treason. Suspecting foul play, Reacher investigates and outsmarts authorities to break Turner out of prison before henchmen murder her. Along the way, he is told that a paternity suit has been filed against him and that he is the father of 15-year-old street smart Samantha (Yarosh). Thinking Sam is Reacher’s daughter, a paid assassin called “The Hunter” (Heusinger) goes after her, forcing Reacher to take her along in their quest to uncover the truth. The trio travel to New Orleans to question the only eyewitness to the case, clear Turner and Reacher’s name from the murders they have been framed for and keep Samantha safe from assassins trying to teach Reacher a lesson. British writer Child’s Reacher novels are about the adventures of an American military-cop-turned-vigilante who hitchhikes across his broken country seeking justice that institutions and politicians deny him. How does Reacher in the novels compare with Reacher in the movies? 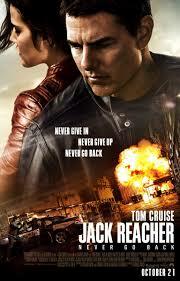 What Jack Reacher had in the first movie that viewers fell in love with is diluted in this sequel. For one, Reacher’s street smart analysis and quick wittedness is overrated. 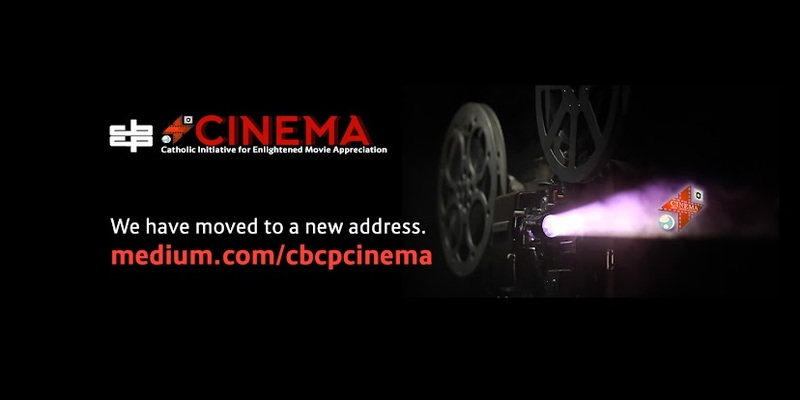 The action is poorly paced and screaming for conciseness. The rawness of his character is replaced with a glossy Hollywood caricature. The father-son daughter is stretched so thinly it fails to deliver any authentic connection with the viewers. We do not think the narrative would have suffered if her subplot was removed, more so because the Samantha character comes across as annoying. (Is that the natural outcome for children of an obscure paternity?) The character development and dialogue are sometimes too cliché and cheesy. Overall, the movie benefits from good performances from Cruise and Smulders, the clean technical direction, but falls bland and formulaic. It is not that bad but it is not any good with or without the predecessor. The title should serve as a subtle warning. Quest for the truth comes with a cost. You take risks and go the extra mile just to make sure that the truth is revealed, protected, and respected. There are many instances in Jack Reacher when the quest for truth was the motivation of the characters: Reacher finding out if Sam was his daughter, Turner’s men investigating the involvement of a general in arms and opium trade, Turner herself clearing her name and giving justice to the death of the men, Sam looking for the connection between herself and Reacher. The quest for their truths came at a very heavy and disturbing cost….mostly violence and dead bodies. Could it have been done otherwise? Not with the chosen narrative flow of the director; not in an amoral world of espionage and megalomania. It seems that violence was the framework of the film that Reacher’s brand of honesty, Turner’s patriotic integrity, and even Samantha’s street smart instincts gave way to say that was the only way to stay alive and protect the truth. 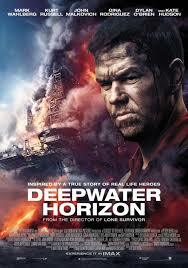 The film dramatizes the tragic events on board Deepwater Horizon oilrig back in April of 2010. The narrative is told mostly from the point-of-view of chief electronics technician Mike Williams (Mark Wahlberg). He leaves his loving family behind and arrives on the rig to find the drill site executives, Jimmy (Kurt Russel) and Don (John Malkovich) on board arguing as the former wants to take precautions while the latter pushes to cut corners in order for them to get back on schedule. As they are already 43 days behind delivery, Mike and the rest of the crew are pressured to proceed with the drilling in spite of test results that indicate unfavorable conditions. With that, the situation goes worse and Mike finds himself having to brave the dangers of explosion and shipwreck in order to rescue everyone onboard. Deepwater Horizon succeeds to be an entertaining piece with the entire feature impressively reenacting a significant event in the oilrig industry. The chosen thread to tell the story is focused and easy to follow. One would not be lost in the film’s storytelling technique which does not really go far from the familiar ship-of-fools plotline with a twist of heroism towards the end. The main character is given enough exposition arcs—family, love, friendship, work, etc. so the dramatic heroics and sympathy is very much earned. Camera techniques and special effects are well executed and the audience is really brought there in the event to experience real terrors of the dangerous explosion. However, the film lacks in educating the real outcome of the case—as to who’s really to blame or what could have been done to avoid such tragedy from happening again. Were they pushed by too much capitalism? Or Greed? Those were just some angles to the themes that the film could have explored but it chose to stay safe with the Hollywood conventions of filmmaking. At the forefront and center of the film is a man who risked his own life and safety to save others. His convictions, aspirations and motivations are clearly shown from the beginning and are consistent until the end. His big “why” in life is his family – his wife and his daughter. He wants to remain alive for them. And he believes everybody onboard is feeling the same—they all want to live and survive for their “whys” in life. What’s really impressive about Mark is his selflessness amidst the danger of his own life. Human instinct would always go for self-preservation, but here is a man who’s willing to endanger his own life for the safety of others. He is not driven by anything else than his genuine concern for others. The film actually focused on this part of the story. Instead of thoroughly investigating into who’s to blame for the tragedy, it opts to focus on one’s act of heroism. Tragedies such as Deepwater Horizon could bring out the best and the worst in people but this film chose to focus on the best side of man: after the heroic rescue, the survivors huddle together and pray the Our Father. For some strong language and heavy tragic visuals, and given the highly technical milieu, the film may be too much for the very young so CINEMA deems it as suited only to audiences 14 years old and above. Bakit Lahat ng Guwapo May Boyfriend?